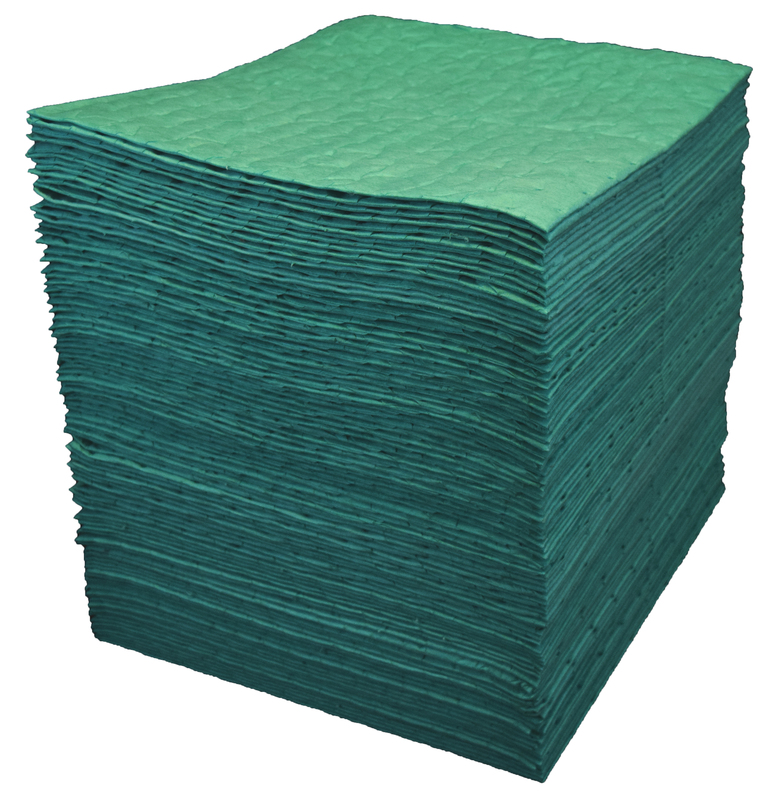 From a small drip to a larger spill, our universal absorbents will help you soak up virtually any liquid fast. 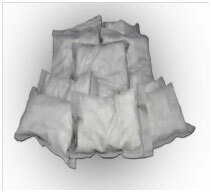 We can help you find the right universal absorbents, whether you need booms, pads, socks, pillows, rolls or spill kits and loose absorbents for the job at the best price. Absorb petroleum and aqueous based liquids. Absorb acid and caustic solutions. Flame-resistant material melts when exposed to high heat. Optional perforations give the user the ability use only the amount required for the job. Flame-resistant material melts when exposed to high heat while on the job. Pads are perfect for spill control and spill cleanup. 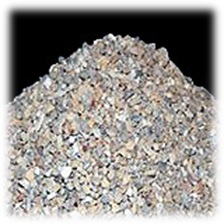 Clay and mineral absorbents are ideal for universal cleanup situations. 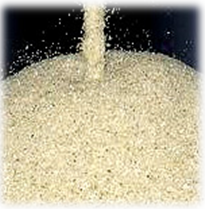 A natural clay absorbent for universal absorbent use. Used to broadcast greater coverage. Used to quickly absorb hydrocarbon spills. Made from ‘Fullers Earth’ type of mineral. 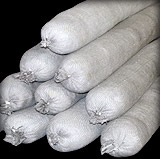 A natural mineral absorbent that exhibits strong encapsulating and wicking properties. It has the ability to absorb and retain many forms of liquids including acids and caustics. It can absorb up to 4 times its own weight., which is 8 times more than clay. 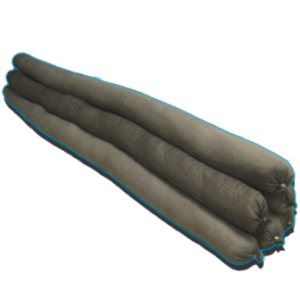 This mineral absorbent is heavy weight and is used to penetrate the spill. Is suitable for use in windy conditions. Natural color leaves no visible residue. *NOTE: Not to be used with Hydrofluoric acid. SMS three layer absorbents are built by ultrasonically welding our melt blown polypropylene between two layers of high tensile strength, non-linting, spunbond polypropylene. Three layer SMS can be used where non-linting products are required. Flame-resistant material is burn resistant. The two spunbond outer layers allows greater tensile strength and durability. Capture and contain aggressive liquids. 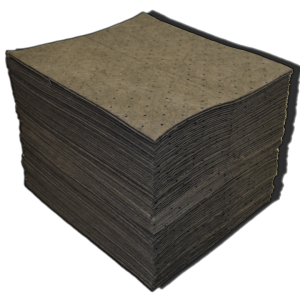 These universal absorbents can absorb all forms of spills from the mundane to the aggressive. 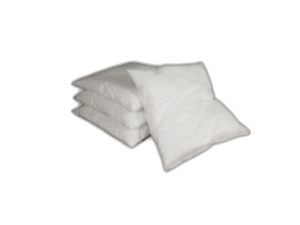 Universal pillows are tough enough to handle aggressive liquids such as; sulfuric acid, citric acids, bleach, and many other toxic liquids. 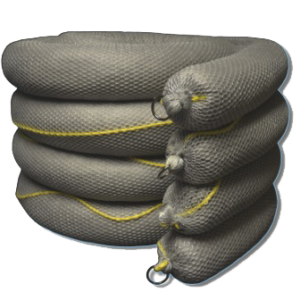 Pillows are great for placing into small, tight places while capturing high volumes of liquid from equipment and fueling stations. Easy to deploy and retrieve during spill cleanup. Small, flexible and compact size allows use in small cramped spaces without sacrificing performance. The following products will help compliance with 29 CFR 1910.120(j)(1), 40 CFR 112.7(C)(1), 40 CFR 263.30(a), and 40 CFR 263.31.